For most golfers, those who swing a Driver between 80 and 100 mph, probably the biggest impact on distance is the launch angle. Yes, the loft on your club head impacts launch, but so does your angle of attack on the golf ball. The setup on the left is the traditional address for the Driver. The setup on the right has the ball moved slightly forward (off the middle of the left foot), teed up higher, and there is a discernible spine tilt at address. The intent is to catch the ball on the upswing, thus increasing the launch angle (and reducing spin at the same time). 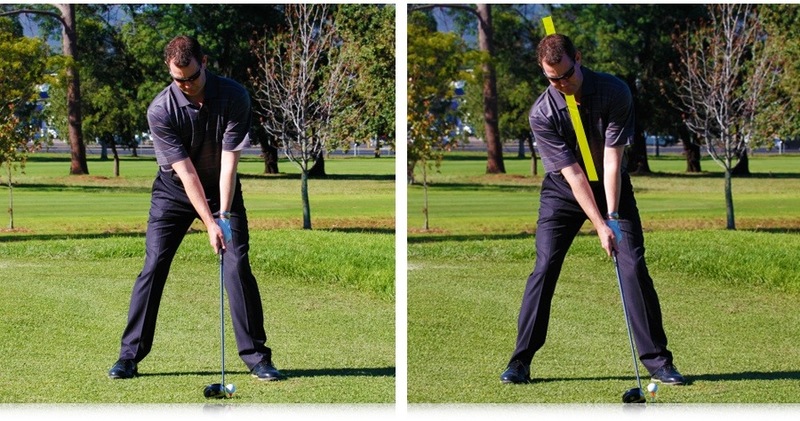 You will be surprised how much extra distance you’ll get if you increase your launch angle and lower the spin rate. Challenge yourself to go further. This entry was posted in fitness, golf, golf instruction, golf tips, sports and tagged driver, golf, golf swing, instruction, LPGA, PGA, tips. Bookmark the permalink.